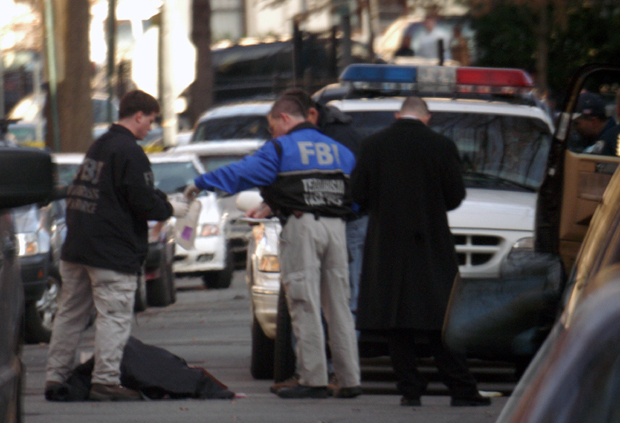 Several Terrorism Task Force FBI agents collect evidence in the Mt. 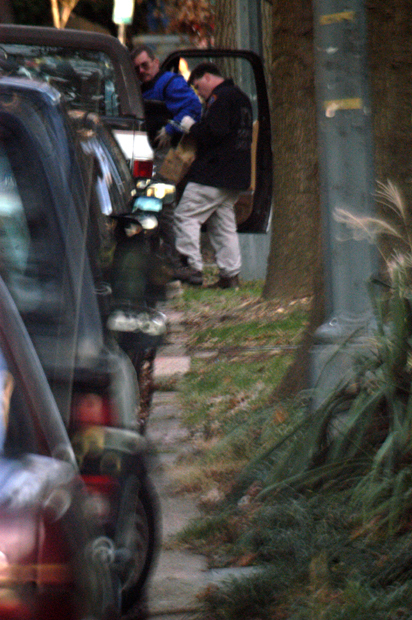 Pleasant neighborhood of Washington, D.C.
(below) Two officers with the FBI's Terrorism Task Force go through the contents of a Chevy Blazer parked in Mt Pleasant on Kenyon St NW. The owner of the vehicle is a suspect in an investigation involving suspicious packages found at a Metro stop in South East Washington earlier today.